This great centerpiece comes in mirror glass cube vase with lots of warm fall color in the roses, leucadendron, and berries. 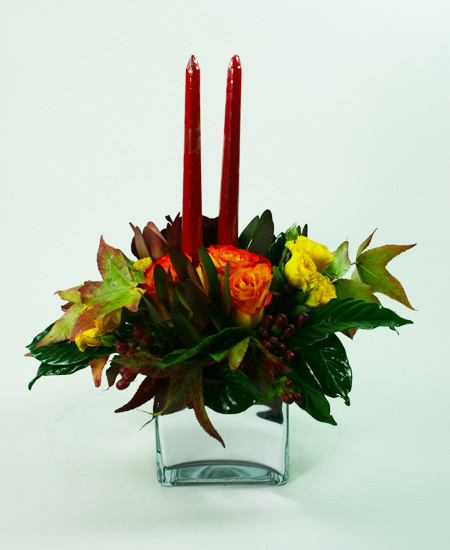 It's tall taper candles make it the perfect centerpiece for your fall parties! Approx. 16" in height with candles and 5" in width.